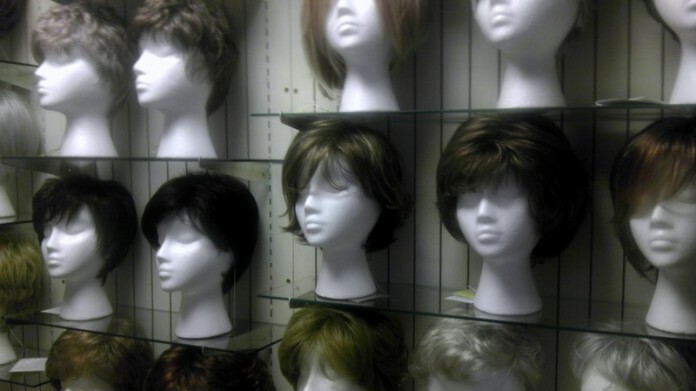 Learn how to properly care for your synthetic wig. A synthetic wig, hairpiece or hair extension is an excellent investment in your appearance. Synthetic hair is easy to preserve when you follow a few easy care and cleaning steps. First, when you remove your synthetic hair at night, turn it over and comb it. This simple step is an easy way to make sure your hair lasts a long time. Wigs, hair extensions and hairpieces pick up odors from the environment, just as clothes absorb odors, so airing and cleaning is essential. How often you clean synthetic hair depends on a number of factors, such as how often the wig is worn, if the hair was exposed to smoke or cooking odors, how easy it is to style and if it feels smooth or coarse. If it starts to feel coarse, or has a noticeable odor, it may be time to clean the hair. Step One: Detangle the hair with a wide-tooth comb. Step Two: Add the suggested amount of synthetic hair shampoo to a basin of cool water. Place your wig into the water and let it soak for about twenty minutes. Step Three: Rinse the hair with cool water, swish it around, until all the soap bubbles are gone. Step Four: Gently shake out excess water, and then carefully pat it dry with a soft towel. 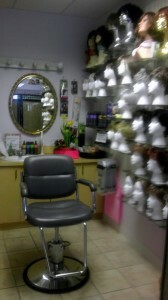 Step Five: Place the wig on a wire wig stand, so the air can circulate, and allow it to dry. Do not brush it while it is wet. Allow up to 24 hours for synthetic hair to dry. Avoid using a blow dryer as it will damage the hair. You will discover that synthetic hair holds its style beautifully. Occasional cleaning simply preserves the look and feel of the hair.